This story originally appeared on Nov. 5, 2015. The U.S. Air Force is once again pushing for a nuclear-armed cruise missile to “fill the gap” between heavy bombers and ballistic missiles. The W-80 warhead will be the missile’s business end. The flying branch’s push comes during the largest planned overhaul of America’s nuclear arsenal in decades. Aside from the many serious questions about necessity and cost, the question of reliability lingers. That’s the enduring dilemma of nuclear weapons — few people really want them around, but no one wants to give them up while other nations have them. And will they work as designed? Nuclear warheads are complex, highly-engineered devices with limited shelf lives. The National Nuclear Security Administration and America’s national laboratories rely on computer simulations and tests of non-nuclear components to assure the safety and reliability of the U.S. stockpile. But simulations can’t tell you everything … like if a warhead doesn’t work when it freezes. The Los Alamos National Lab began developing the W-80 thermonuclear warhead in 1976 for America’s new generation of cruise missiles. About the size and shape of a fire hydrant minus its hose connections, the W-80 is a “dial-a-yield” device. Detonating its plutonium core alone yields five kilotons, while engaging its deuterium-tritium gas injector and the dry lithium fuel will ignite a fusion reaction and boost its yield to 150 kilotons. Because nuclear yields don’t scale linearly, the W-80 is many, many times more powerful than the bombs that incinerated Hiroshima and Nagasaki. Those bombs weighed tons. The W-80 weighs as much as an NFL linebacker. The W-80 uses insensitive high explosive, or IHE, to compress its plutonium core and initiate a fission reaction. Earlier nuclear-weapon accidents demonstrated the need for high explosives less sensitive to fire and shock. 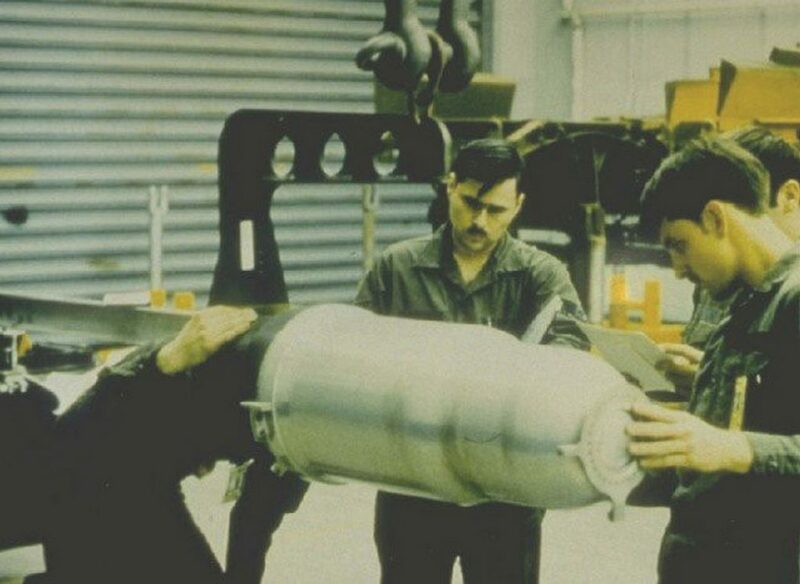 But the IHE in the first production lot of W-80 warheads had a fatal flaw. You have to go to war with the weapons you have, but that adage didn’t mean going to battle with dud weapons. The United States learned this lesson the hard way during World War II when its Mark 14 torpedoes failed repeatedly. Only a flag-rank investigation by a Navy laboratory involving numerous field tests fixed the problem. With the W-80, only a live-fire underground test discovered the failure. It took both Los Alamos and Lawrence Livermore labs months to fix the W-80 by redesigning the fission primary and its high explosives. Again, they needed a full-up test to prove the redesign. A year after Shot Baseball, a second W-80 underground test — conducted at -65 degrees Fahrenheit and known as Shot Jornada – successfully proved the weapon. Full production of the new model warheads began the following month. The United States would manufacture more than 2,100 W-80s between 1980 and 1990. Arms-control treaties and nuclear posture adjustments over the past 25 years have put a third of them in storage or out of commission. America has conducted only one all-up test of a strategic nuclear missile system. During Operation Frigate Bird in May 1962 the submarine USS Ethan Allen fired a Polaris missile with a live W-47 warhead 1,100 miles across the mid-Pacific. 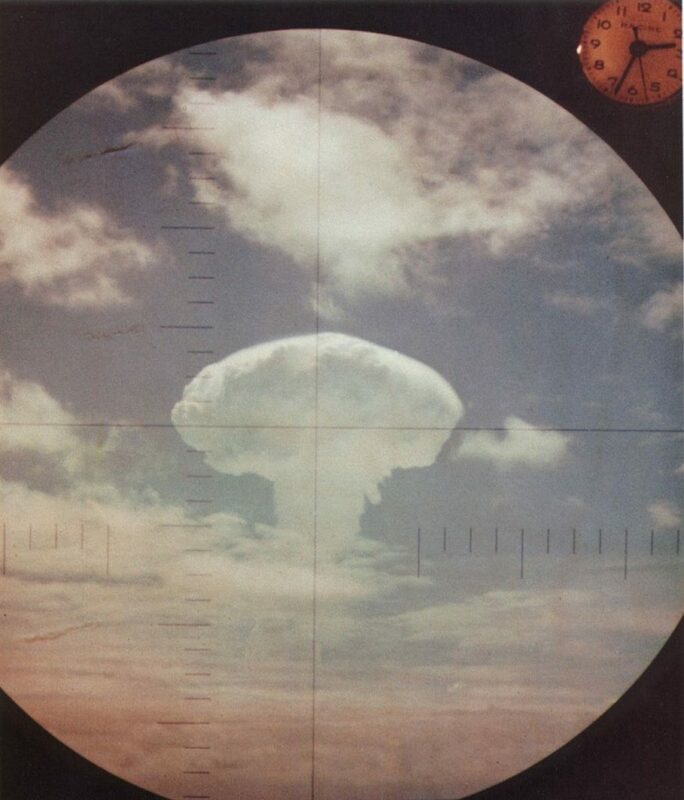 A second sub recorded the 600-kiloton detonation through its periscope.